Capetonians tend towards hibernation in winter, but the Mother City has more than a few ways to lure them out. 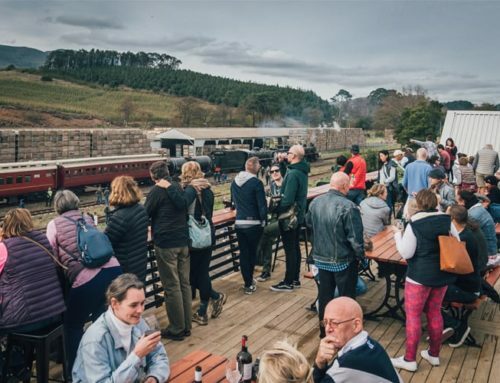 From cosy cafés and dinner at restaurants with fireplaces to indoor adventures, here are our top 100 things to do in winter in Cape Town and surrounds. Wave at a whale while it waves its tail at you! 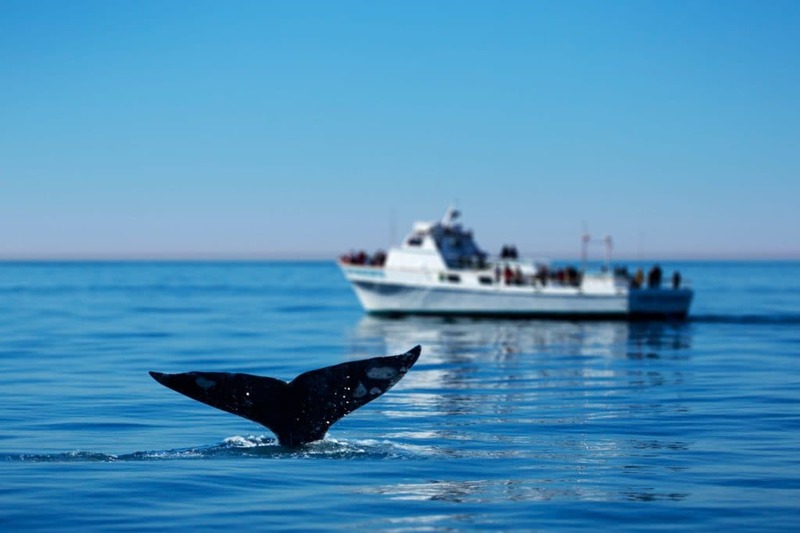 Get close enough for a spray from the blowhole or watch these majestic creatures leisurely from the coast during whale watching’s best season. The winter specials at Cape Town’s top restaurants are one of the best things about the change of seasons. Enjoy artfully plated, beautiful food at a fraction of the usual price. Cape Town is a hotspot for watersport and it’s no different in winter. 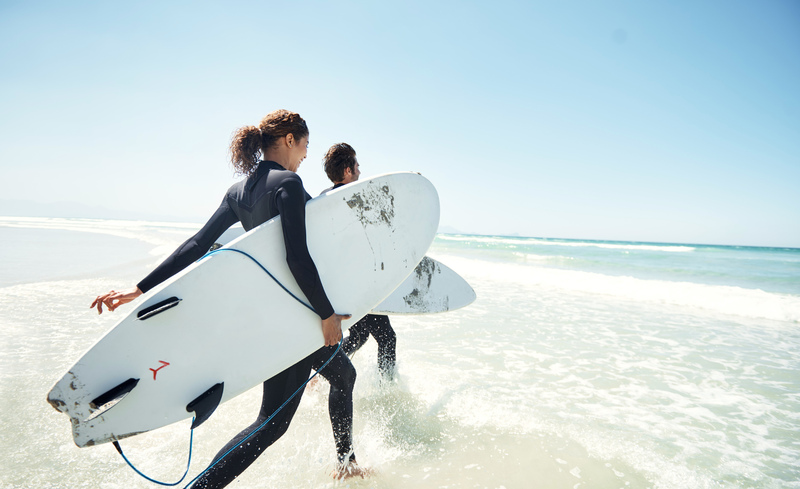 Take advantage of the conditions – the waves are bigger and the water is clearer (and warmer) in the Mother City’s winter. Head on down to Table View for the best kiteboarding conditions you will ever experience. 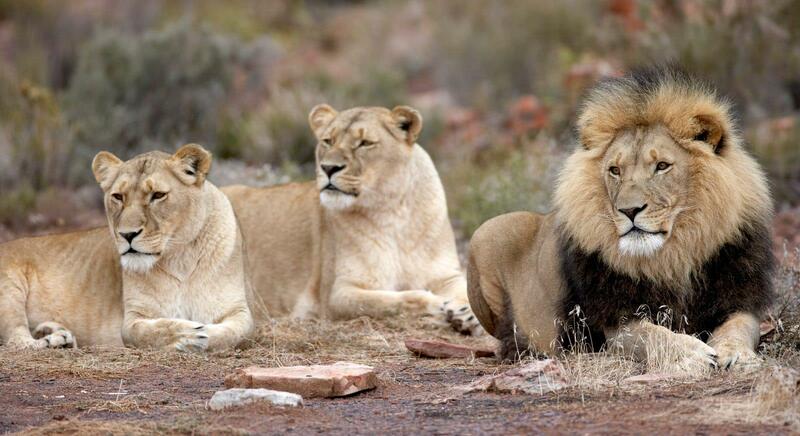 Aquila Private Game Reserve has great annual winter specials on accommodation, safaris, meals and spa treatments. You can enjoy a family-friendly four-star stay just a two-hour drive from Cape Town. Jazz runs through the veins of the city, and there are some amazing live venues where you can enjoy dinner and a show. The Crypt is an underground restaurant beneath St George’s Cathedral in the CBD and is a fantastic spot for a great dinner and live jazz. The line-up is always changing and you should book in advance to get a good seat! Truth Coffee has a Barista Academy where you can learn to make coffee like a pro. Their entry level “Coffee Appreciation Course” will teach you the history of coffee, allow you to take a tour of their roastery and bean chamber and school you in the art of cupping and appreciating different blends and brews. During the summer months, there’s sometimes quite a wait to get up the mountain. If you like to dodge crowds, summit the mountain in winter. There are barely any queues, and as an added bonus the city and mountain are green and lush and the skies and clouds are stunning during winter. You won’t believe the views at this time of year! South Africans can also take advantage of the Cableway Kidz Season deal, where two kids ride for free with an adult who has purchased a Kidz season adult return ticket. This Cape Town institution at the V&A Waterfront boasts the biggest selection of wines by the glass in the world, so you can sample the very best local wines on offer right here. Find your favourite red and then pair it with one of their prized steaks in their heated outdoor patio. Bliss! Take a trip into the heart of Africa at Gold Restaurant, an authentic Africa restaurant in Green Point, complete with a Djembe drumming session, African dance performers and 15 courses of African cuisine to get through! Some of Cape Town’s coffee shops are busy and bustling; others are perfect for hanging out with friends. The Tribe Coffee Café is a little different: It is the perfect place for enjoying a cup of coffee alone and enjoying some quiet reflection. The atmosphere is zen-like and soothing, there is no better place to relax and take some time out to truly unwind. And the coffee? The beans are gently roasted and the aroma fills the whole café: you certainly won’t be disappointed with the coffee in the Tribe Coffee Café. The Waterfront is a destination in its own right. There’s plenty to do here, including restaurants, museums, shopping, and much more, but it’s also a godsend for parents. There’s the gemstone Scratch Patch, pirate boat cruises, the Two Oceans Aquarium, an indoor adventure park and much more. 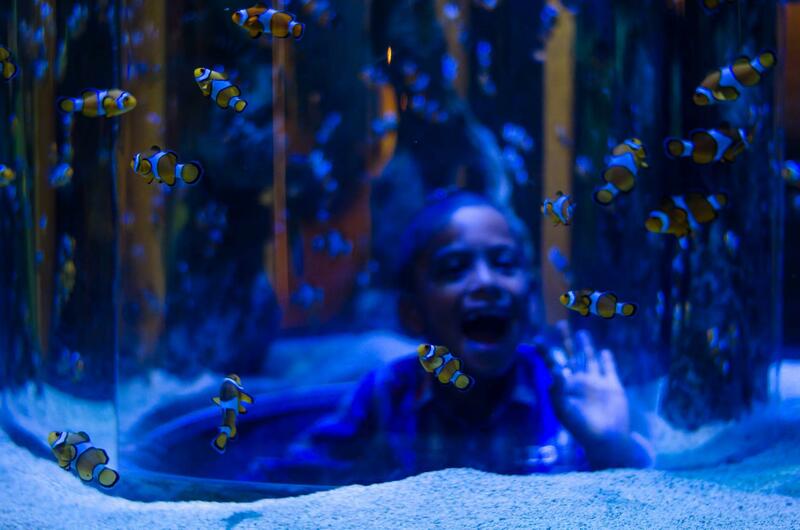 Come rain or shine, the little ones will be occupied for hours. 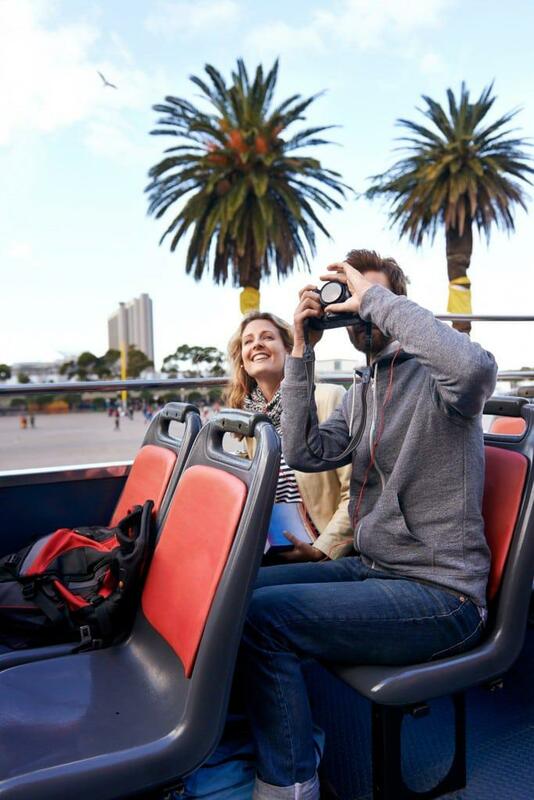 Hop on and step off the iconic Cape Town Red Busses to feast on the sights and sounds of the city. There are 17 bus stops in a circular route around the city with a route duration of approximately 2 hours. Cape Town’s finest dedicated comedy joint is sure to give you the giggles with some of the sharpest and snarkiest names in the business! Conveniently located at the V&A Waterfront, the Cape Town Comedy Club is the perfect night out for you and some friends. Enjoy some homegrown talent at Kalk Bay Theatre, and take advantage of the two-for-one Tuesday tickets to get a good deal. You can have dinner at the venue beforehand, plus a coffee afterwards to mingle with the crowd and artists. 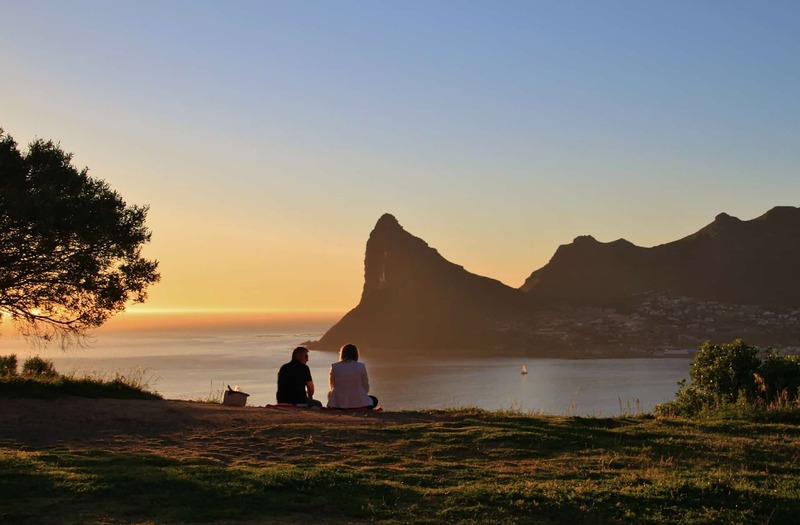 Winter brings Cape Town’s natural scenery to life. Everything is green and lush, and the skies and sunsets are just breathtaking. 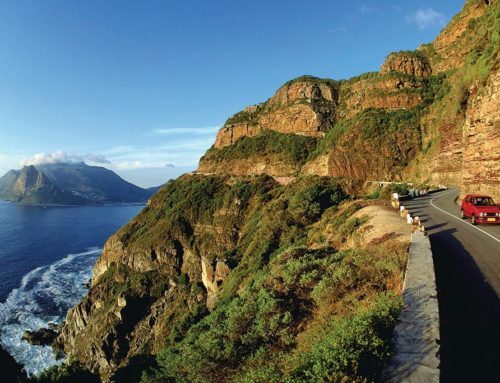 Spend a day admiring the beautiful and endemic flora and fauna, as well as the spectacular cliffs that rise from the sea below. 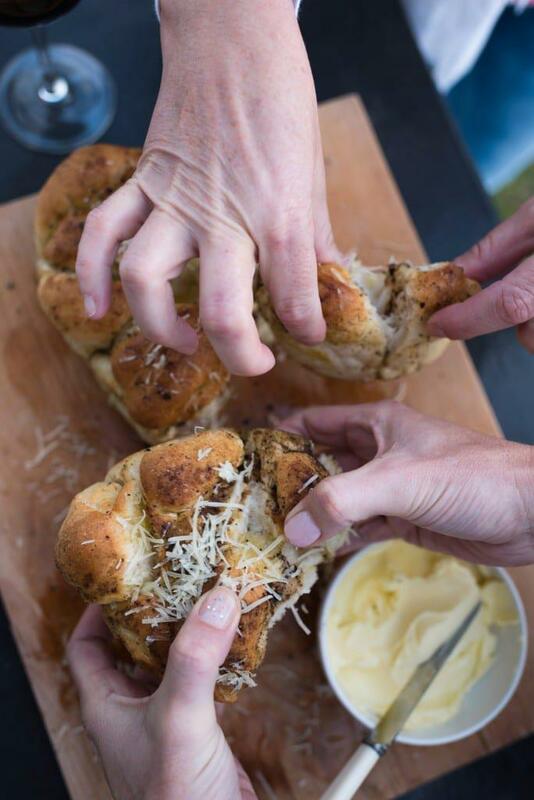 Taste the delicious wines at one of the Cape’s oldest wine estates, and enjoy a breakfast, lunch, or dinner at one of the great eateries on the farm. Do a cellar tour or a chocolate and wine pairing on this historic estate. Before leaving, visit the Manor House and Orientation Centre to appreciate the rich and diverse history and culture of the Estate and buy some award winning wines. 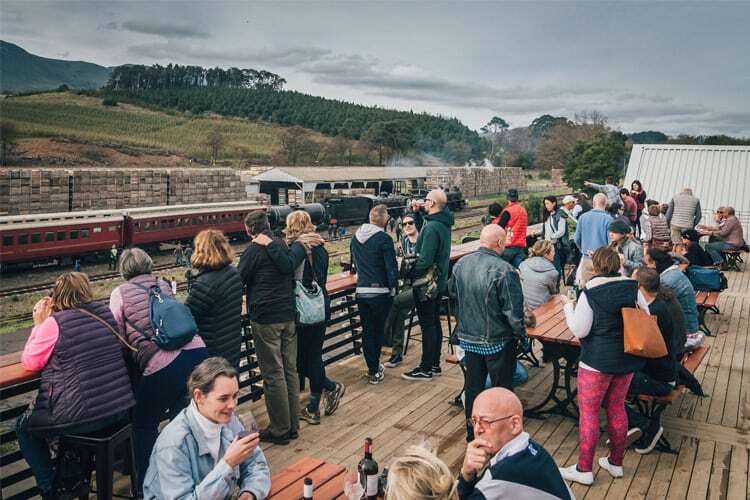 Leave your worries behind with your car, and journey through the rolling vineatrds of the Franschhoek Valley on board the double-decker tram. 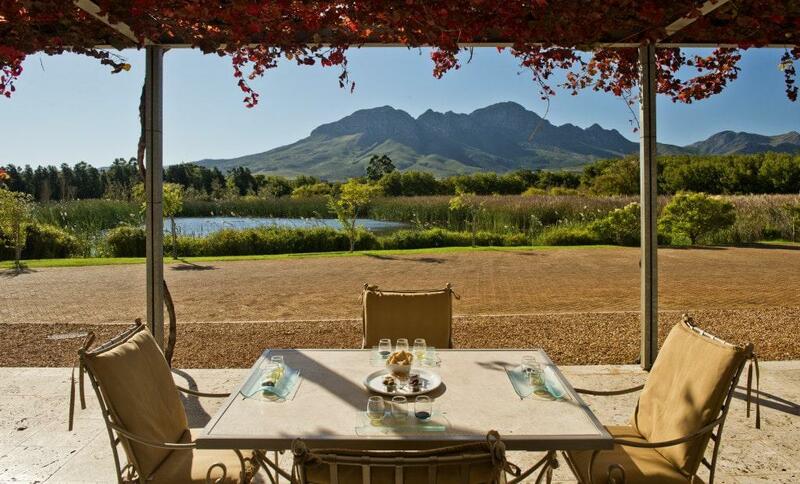 You’ll stop in at some of South Africa’s oldest and most distinguished wine estates. Trail running is a popular past-times for adventurous locals and visitors and Cape Town has a vast array of routes to choose from. 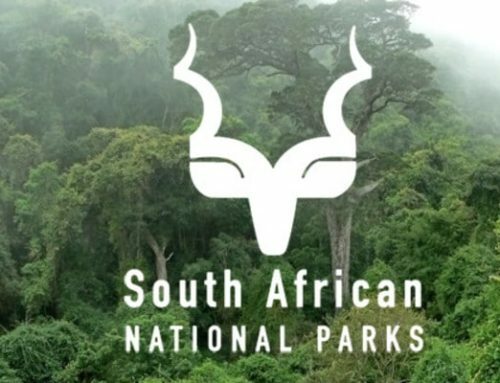 From the rocky single-track of the Pipe Track to the thick, lush forest in the Constantia Green Belt, you’re spoiled for choice. Winter is perfect running weather too! The air is cooler and the flora is green and lush after some rain. We’ve rounded up the eight best burgers you need to eat in Cape Town. From the deliciously huge burgers at Gibson’s at the V&A Waterfront, to the classics at Royale Eatery in town, if you love burgers (or food), this is a to-do list you need to try. Cape Town has a thriving craft beer scene, and whatever your taste in beer, you’re bound to find a new favourite. If it’s a rainy day, why not hop from brewery to brewery tasting the wonderful beers on offer? Many offer great food and tasting trays. Cape Town is a cultural hub and where the history of the country really began, so you can bet we have plenty of both to offer visitors. The Mother City’s history is rich – and at times tragic – and museums like the District Six Museum, The South African Jewish Museum, the Castle of Good Hope and more illustrate this past quite beautifully. 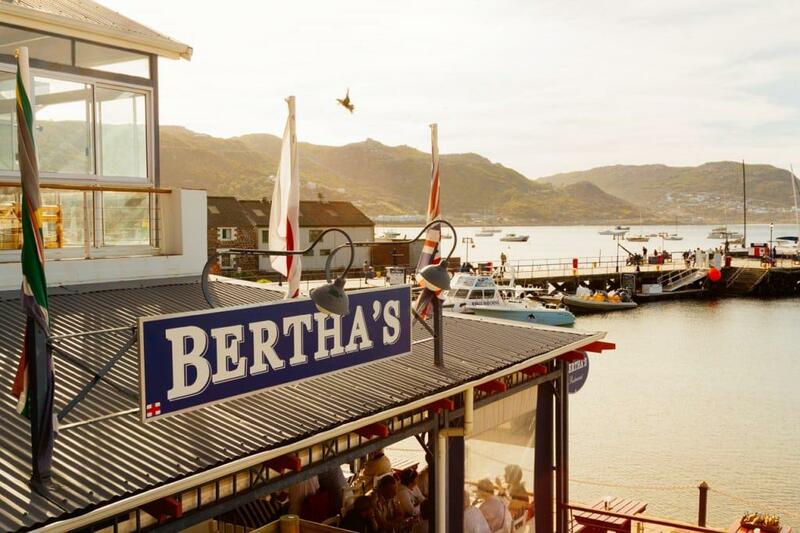 Simon’s Town is spectacular year-round and the beloved Bertha’s has been serving up sensational fresh seafood since 1993 . A favourite stop for travellers, the restaurant is located at the Simon’s Town Quay, offering spectacular views of False Bay and the naval base. If you’re an art fan, you’re in luck! A rainy winter’s day in Cape Town is perfect for exploring the countless galleries and art museums. From small boutique galleries to the Zeitz Museum of Contemporary Art Africa, there’s a veritable feast awaiting your eyes. Spend the afternoon sampling wines at the oldest registered farm in the Cape, Steenberg Wine Estate. Settle yourself in for a selection of wines, including Méthode Cap Classique, Sauvignon Blanc, Semillon, Cabernet Sauvignon, Merlot, Shiraz, Nebbiolo and the ICON wine Magna Carta. In the evening, tuck into the delicious tapas menu at Bistro Sixteen82. Cold, rainy day? Retreat to one of Cape Town’s amazing spas, to spend some time in a relaxing sanctuary. The Fugard is named after the legendary South African playwright Athol Fugard, and is one of Cape Town’s most-loved theatres. This is where you’ll catch the biggest shows on the circuit, usually with uniquely South African flavour. 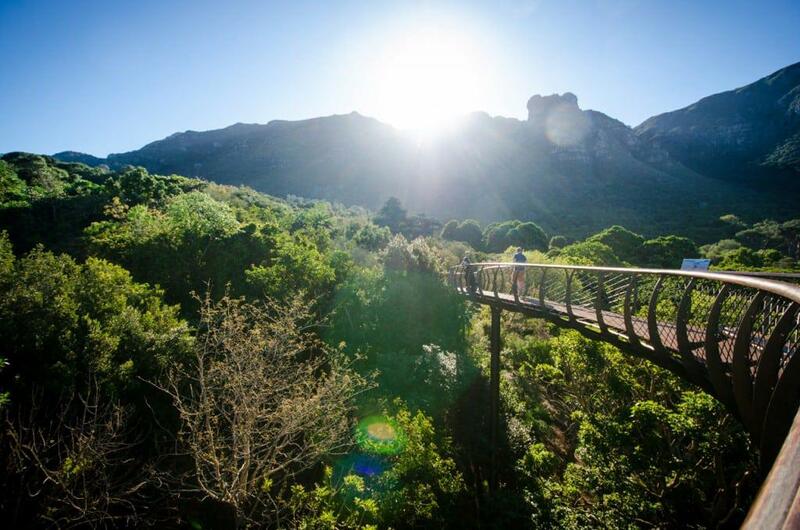 If it’s a chilly but clear day, take a walk above the treetops of the Kirstenbosch Botanical Gardens on the Boomslang Aerial Walkway, with its gorgeous panoramic views of the mountain. The walkway is one of the Mother City’s most popular attractions and was named the Most Beautiful Object in South Africa (MBOSA) at Design Indaba Expo 2015. Planning a weekend away with young kids can be tough! But Spier Wine Farm does not just tolerate kids, they welcome them. The farm offers wine tasting for the whole family (don’t worry, the youngsters get grape juice), superb picnic options, plenty of open spaces and the Eagle Outreach facility, among other things. Join Veld & Sea for a foraging adventure. You can find edible mushrooms, harvest local wild plants, and then learn how to prepare an amazing meal with your findings. Visit the Montebello Design Centre on the Montebello Estate for a delicious lunch, shopping, the groovy art exhibitions or a design course. It’s a project that supports local arts, craft and design in Cape Town. Check out the Ubuntu Bridge’s online courses so you can chat to the locals when you arrive, or if you’re here for a little longer, try the great four-week course in person. Try Newlands Brewery’s eight famous beers on your tour through this over 200-year-old Brewmaster’s haven, in the shadow of Table Mountain. Get stuck into a buffet breakfast or Sunday Roast buffet at Suikerbossie Restaurant – a Cape Town institution. For the breakfast buffet you can choose between the health breakfast, continental breakfast, the English breakfast, or the Suikerbossie breakfast with a variety of hot breakfast options, pastries, and drinks. Of course, it’s all you can eat, so make sure you arrive hungry. Bay Harbour Market on the water’s edge at the old Hout Bay Harbour has more than 100 stalls, a fish factory, and a stage for live musical performances, making it a popular outing for locals and tourists. The KWV Sound Stage has been graced by some of SA’s best musicians and always draws a big crowd. 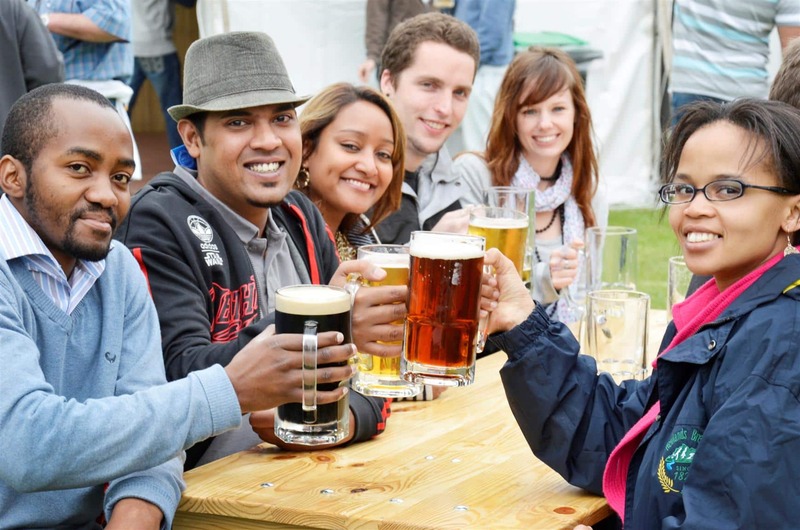 You can also expect a wide range of 80 awesome weekly traders, nine draught beers on tap, artisan food stalls, art, and crafts. Get Hooked on Africa when you fish for South Africa’s beloved Snoek 50km out in the beautiful Atlantic Ocean. Just try one on a braai and you’ll know why we love them so much! Head to Gordon’s Bay in the winter time for some of the most moving celestial performances you’ll ever see. It’s just an hour away from Cape Town, and perfect for a romantic winter break. Plus, there’s the Winter Wonderland Festival which is always a treat for the whole family. This is the perfect time to hit the cycling trails in the mountains around the city. There are plenty of trails to discover, many starting on farms around Cape Town and the Winelands. Durbanville has become a mountain biking hotspot, but you’ve also got plenty of options for your two wheels with the epic mountain biking trails in Cape Town and surrounds. With over 150 stalls, selling more than 365 regular AWA eventsbrands, look no further than the shopping mecca of the V&A Waterfront, the Watershed, to satisfy all your purchasing needs. Selling a variety of products, ranging from furniture and textiles to fashion and jewellery. It’s a perfect spot for gift-shopping or simply to treat yourself to something special. Also, look out for special events and exhibitions. Rub shoulders with venerable old captains and fishermen at the first harbour-front emporium in the Southern Hemisphere, featuring shops, restaurants, markets and some of Cape Town’s best seafood. Who doesn’t love a high tea? Cake and warm drinks go well with the colder days. Cape Town’s high tea scene is pretty magical, so why not try them all? 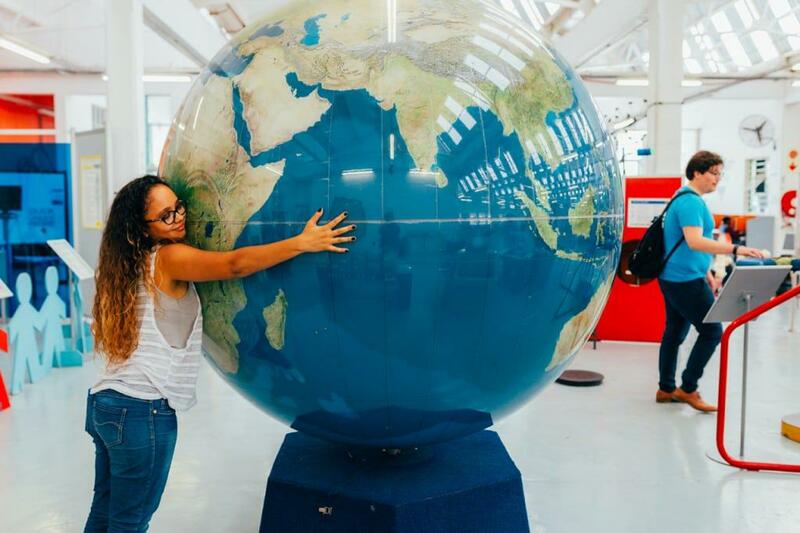 A unique way to learn more about Cape Town is to run it. Thanks to Run Cape Town you can do just that. They offer personalised, tailor-made, guided running tours through the streets and neighbourhoods of Cape Town. Not keen on doing a tour with a guide? Why not download the Voicemap app where you can select a voice guided tour. We recommend the Muizenberg one. It’s insightful and a great way to learn more about this neighbourhood. Yes, really. Many of us grew up watching WWE, but did you know we have really talented local wrestlers as well? You can check them out at regular AWA events. The imposing Rhodes Memorial, which sits at the foot of Devil’s Peak in the Table Mountain National Park, offers visitors spectacular views towards the Hottentots Holland mountain range. The abandoned zoo sits next to UCT and can be accessed from Residence Road towards Rhodes Drive. When exploring quiet areas always go in a group and be vigilant. Van Ryn’s Brandy Distillery offers brandy, coffee and chocolate pairing with pot still brandies, Belgian chocolate, and Honduran coffee. It’s the perfect combo to warm up on a chilly day! 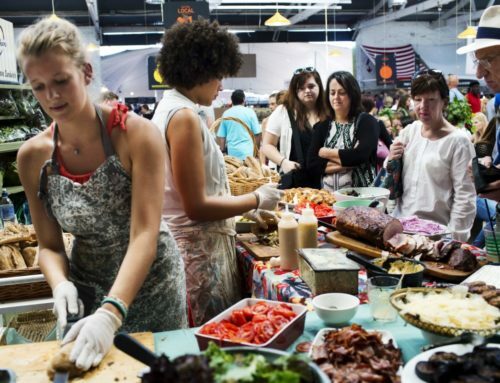 Located in a warehouse in Muizenberg, the Bluebird Market opens every Friday from 4-10 pm. Here you can get amazing homemade and heart-warming food, great entertainment, and fun for the whole family. 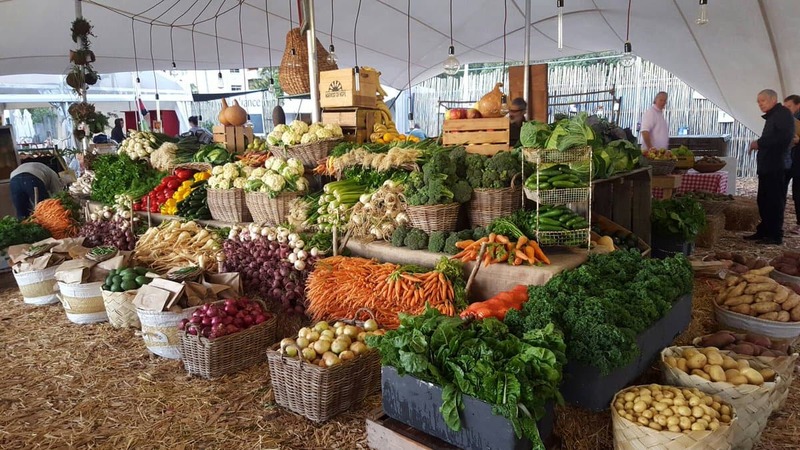 The Oranjezicht City Farm was previously located in the city centre, but this Saturday farmers’ market has been moved to Granger Bay at the V&A Waterfront and is a fantastic initiative that encourages urban farming. Here you can buy a wide variety of fresh produce, baked goods and wholesome foods between 8 am and 2 pm. Sometimes all we need is a mini-holiday. Why not take advantage of Club Mykonos’s winter promotion? Sometimes, on a cold day, a good book is all the warmth you need. We recommend checking out Kalk Bay Books. It’s a favourite with the locals, nd is great for those looking for something less commercial and possibly the classics you didn’t think you’d find on our shores. The Simon’s Town Historical Mile is a great way to learn about this sea-side town. It runs from St George’s Street to the East Dockyard gates and gives visitors a view of great naval history. They also have an audio tour that can guide you through this historic naval town. Cape Town has a thriving pub quiz culture. Team up with friends or go solo and join a team at the venue, and give your brain a workout on a chilly evening. The Constantia Valley is home to some of the oldest and most prestigious farms in the country. All the farms are close together, meaning you can hop from one to the other with minimum fuss, but we would recommend taking two to three days to really explore the area properly. Each farm has its own unique selling point and charm, but one thing they all have in common is fantastic wine and superb attention to detail. Groot Constantia, Klein Constantia, Steenberg Vineyards, Constantia Glen Wine Estate, Beau Constantia, Buitenverwachting, Constantia Uitsig, Eagle’s Nest and Silvermist all await you in the valley. Imhoff Farm has it all. Ride a camel, or go horse-riding on the beach. You can also enjoy organic meals, learn about reptiles at the reptile sanctuary, or let your kids make four-legged friends in the Higgeldy Piggeldy Farmyard. The still, calm air on winter’s evenings makes for perfect kayaking conditions. Once a month, you can join Kayak Cape Town to paddle out into the waters of False Bay and watch the majestic moonrise over the Hottentots Holland mountain. From Wally’s Cave on Lion’s Head to Elephant’s Eye at Silvermine, explore Cape Town from the bottom up at any one of these glorious holes in the earth in various locations. La Mouette offers impeccable fine dining at a fraction of the cost. There’s also a fireplace for cosy and romantic winter ambiance. 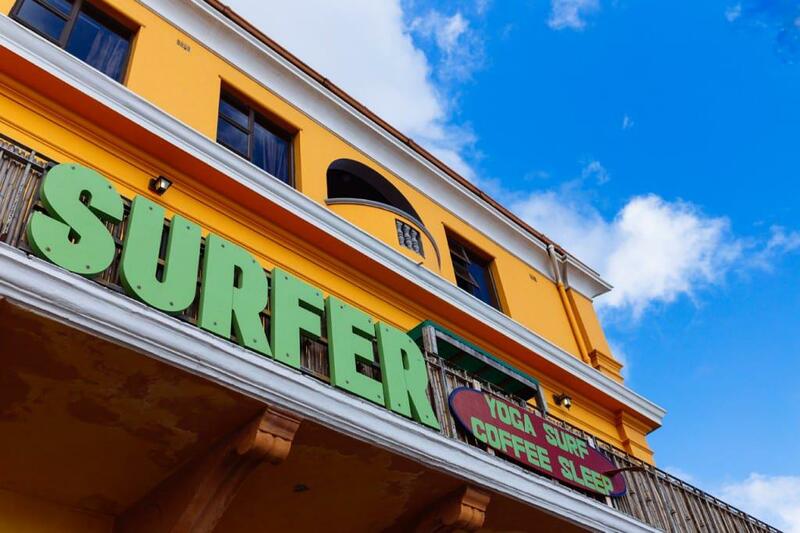 Get your surf on with one of Cape Town’s surf schools. The waves are best in winter and the water is slightly warmer. Surf’s up bro! If you fancy the great outdoors, why not see Cape Town on horseback? Go for a beach ride. The chilly weather is perfect for misty morning trails. Try Pete’s Adventure Farm, Sleepy Hollow Horse Riding, or Wine Valley Horse Trails. In winter, Cape Town is lush and green, with frequent gorgeous, clear days that are perfect for the outdoors. Enjoy the sights and sounds of the lively Masiphumulele township just next to Noordhoek, on a a guided AWOL tours cycle through the area. Meet locals, shop for authentic handcrafted fashion, join a traditional healing ceremony, and enjoy a traditional African meal to end off. Waterskiing, wave boarding, and ziplining, are among the ways you can embrace your inner water baby and adrenaline junkie at Blue Rock Cable Waterski in Somerset West. 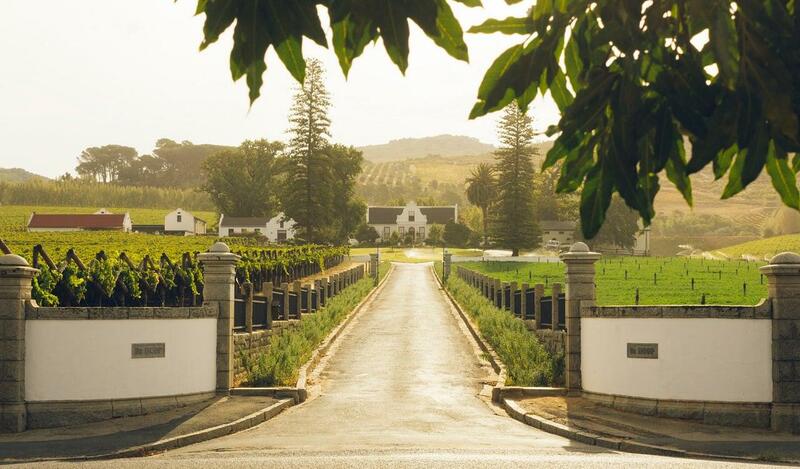 Dating back to 1711, the Morgenster Estate brews internationally acclaimed Bordeaux-style wines and extra virgin olive oil of astonishing quality. The estate is also home to the restaurant 95 at Morgenster, so you can warm yourself up with some fine Italian fare on one of the most beautiful estates in the country. Take a guided tour through the surgery theatres used during the first human heart transplant in 1967. Yes, it happened in Africa! Visit the Heart Transplant Museum at Groot Schuur Hospital in Observatory. Baker Fritz serves artisan bread and coffee in his beautifully decorated restaurant, full of nostalgic, rustic cuteness. You can pop in at Schoon De Companje and visit their Coffee Roastery & Juice Bar, Boutique Wine Shop, Local Brews On Tap, Indian Imported Furniture and many more. Over two centuries old, the gorgeous aristocratic Vineyard Hotel is situated in six acres of lush Newlands forest. There are 2 restaurants on the property, including the award-winning Myoga. Check out their luxury Winter Spa packages. The elegant Cullinan Hotel offers some of the best value for money with desserts that are so posh they’re almost too good to eat… almost. At the Two Oceans Aquarium, there is a 2,000kg fish with a 4g brain. There are crabs that are over 1m tall and have legs that stretch 4m. There is 28cm thick viewing glass to keep the larger predators (the ones with serrated teeth) at bay. Here are all the wonders of the ocean for you to marvel at. Don’t miss feeding time! The Old Biscuit Mill is set in Woodstock’s up-and-coming art district, the Neighbourhood’s Market is one of Cape Town’s trendiest and best-stocked markets with everything from fresh produce to artisan coffee and beer, fashion and fresh flowers. The markets get very busy, so it’s best to go early (open Saturday mornings only). We recommend Luke Dale-Roberts’ potato rosti with bacon/salmon, poached egg and hollandaise sauce. There are many fantastic bars in Cape Town to check out, with a broad appeal. From divery little pool bars to upmarket clubs, and everything in between, you’re sure to find something that appeals to your tastes. Perfect for a kid’s party, try whizzing down Cool Runnings’ custom built tobogganing course! The cosy Bread and Wine restaurant on the Moreson Estate (be sure to check out their marvellous orchid nursery) combines its interesting menu expertly with their Moreson wines and a range of champagne second to none. We recommend a cheese and charcuterie board with a bottle of bubbles. 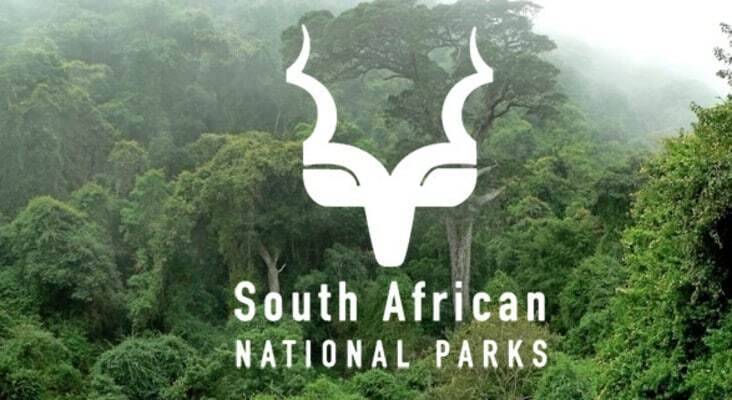 Take the day, pack the kids in and head for Kraaifontein to visit Bugz Family Playpark, the largest park in the Western Cape and an easy find just off the N1 heading to Paarl. With a huge outdoor play area that has free play as well as paid rides, kids will be kept busy for hours. And if there are rain showers, head to the indoor play area until the sun comes out again. The Anura wine-tasting venue has a fireplace and an outstanding menu of cheese, bread and meats for you to nibble on. It’s also absurdly pretty outside. … or biltong, nuts, and chocolate? Visit the KWV Wine Emporium in Paarl for delicious pairings. Planted in 1700, the giant Camphor Trees of Vergelegen give this award-winning restaurant its name. The Camphors Restaurant Menu reflects the season and diners can choose from la carte options to a five-course tasting menu with pairings of the Estate’s classic wines. 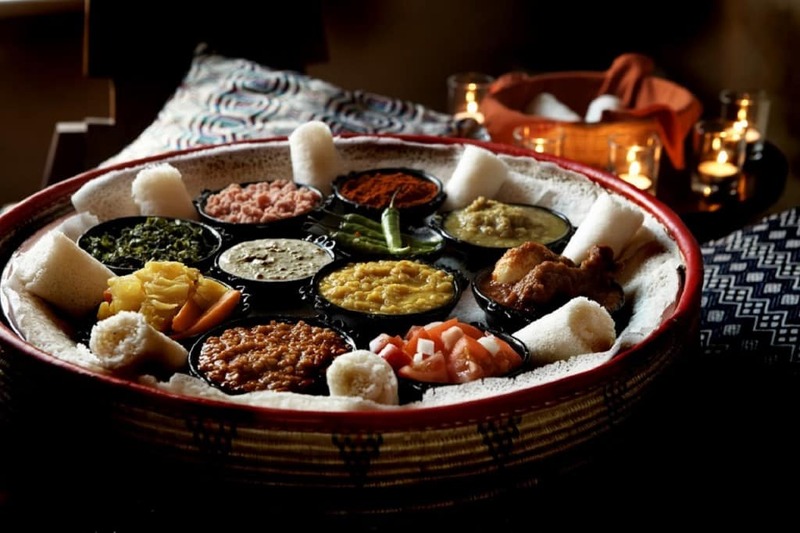 Experience the aromas and spices of Ethiopia, eat with your hands and take part in the traditional coffee ceremony at Addis in Cape. The menu also caters for vegetarians and vegans. A leading day spa in Cape Town, Librisa is situated at one of the city’s favourite hotels. Treat yourself to a pamper session and then indulge in high tea. A favourite of many Capetonian’s, Harbour House Restaurant will warm your heart with its views of the ever-restless ocean and cosy fireplaces. The team at Bean There are absolutely devoted to sourcing and serving the very best coffee available. All of the coffee they serve is ethically sourced and they travel to the farms and communities where they source their beans personally in order to ensure that they are getting the best beans and serving to optimal roast. Add this to the wonderful atmosphere and the eclectic African interior, and you have the very best coffee shop in Cape Town. Go for a relaxing session at the Long Street Turkish Baths. Sauna, steam rooms, and a cold pool all make for a great way to spend a rainy afternoon. 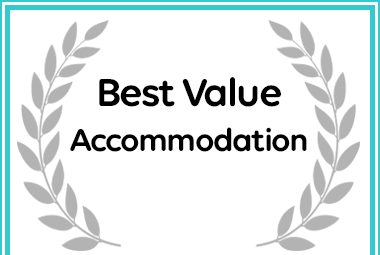 The experience is reasonably priced and set in an iconic Long Street building built in 1908. Check out the days and times they are open to you – there are different times for men and women. Children are naturally inquisitive, so a trip to the Science Centre will prove very enlightening for them. There are interactive displays, a fun building site where kids can build houses, puzzles to solve, insights into gravity, brainwaves, and so much more! 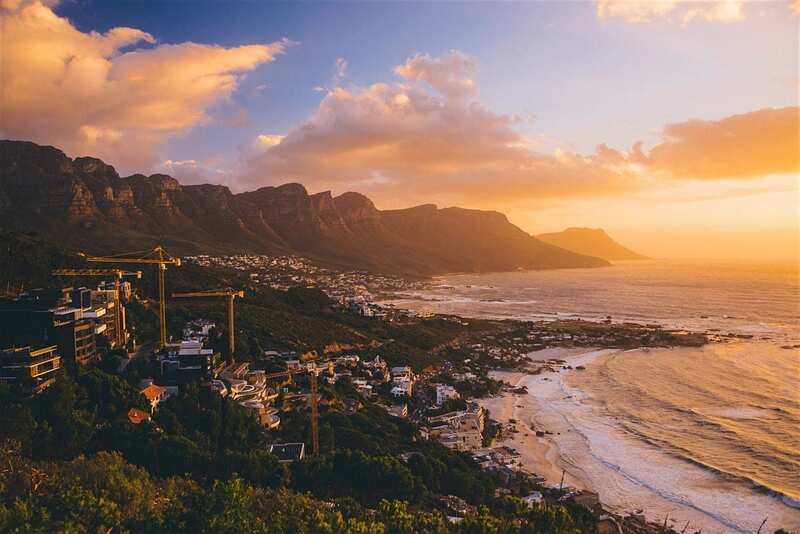 Cape Town has some of the most dazzling hiking trails in the world and winter’s sunlight and brisk mornings make these journeys all the more spectacular. It’s also the most lush in winter, with many waterfalls to check out. Just make sure you wait for a clear day, as rain and mist make for dangerous hiking conditions. Theatresport is all about improvised comedy in the fine tradition of ‘Whose Line is it Anyway?’ They perform some crazy antics based on the audience’s suggestions. They are at your mercy. Enjoy the Casablanca style décor and ambience of Rick’s Café Americaine for killer cocktails during happy hour from 3-5 pm daily, or cosy up at the restaurant’s two huge fireplaces. Channel your inner Barney Stintson and experience a new breed of military simulation with the infra-red laser tag war games of Battlefield Live SA. It’s like paintball without the pain! Wander through the bones of ancient beasts and wonder at South Africa’s greatest artists, on display for ridiculously cheap entrance fees. Iziko Museums in a must! 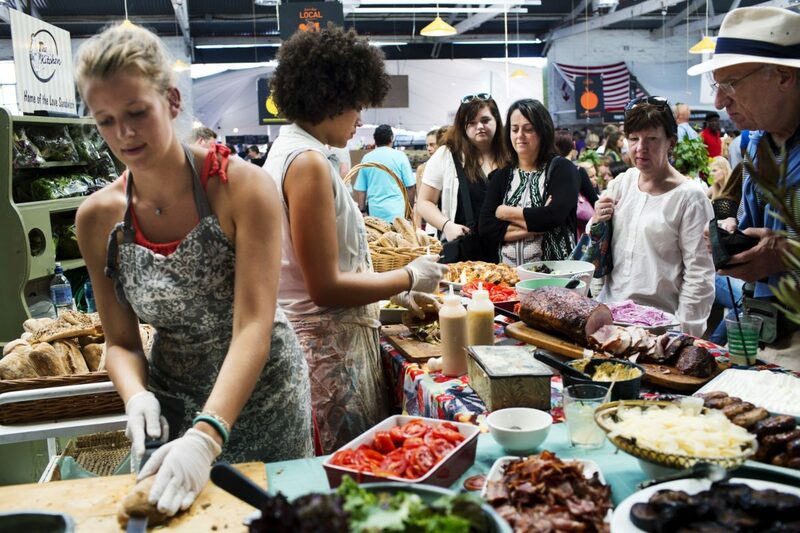 Cape Town takes food and drink seriously, and there’s fierce competition to be the best. 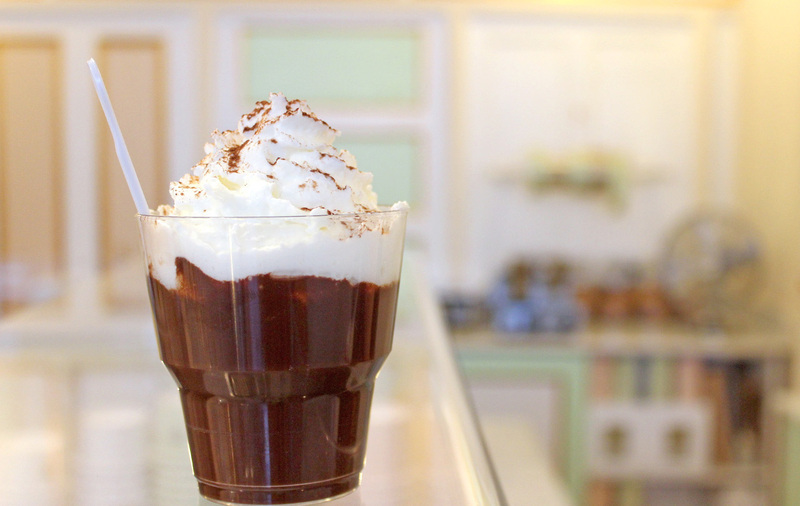 Hot Chocolate is no exception, and we’re not complaining. Warm the cockles of your heart with a rich, chocolatey hot drink this winter. The interactive exhibitions at the Springbok Experience Rugby Museum pulls you into the dream of playing rugby for an obsessed and adoring nation, with games testing your handoff, reaction time, fitness, kicking and passing skills that kids and adults will love. 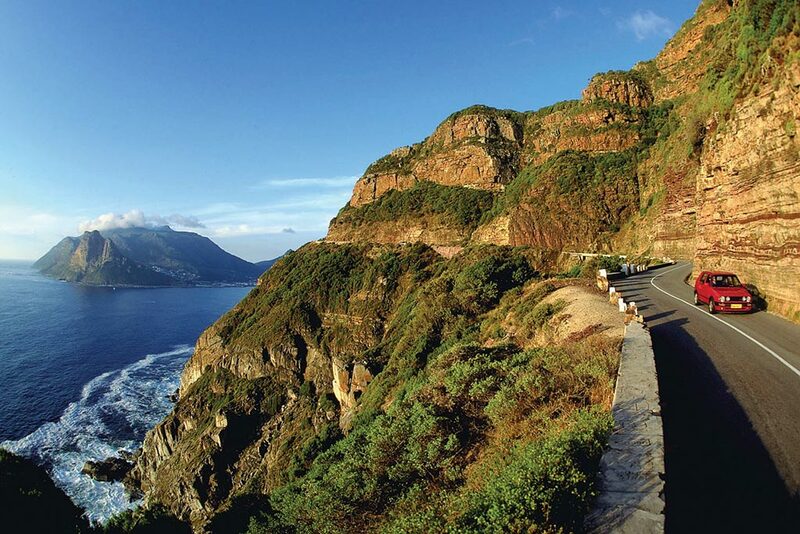 It’s the ultimate Capetonian homage, the pilgrimage up the one of the Seven Natural Wonders of the World. Did you know there’s a beach up there? And a train? Find out more on your own winter adventure up one of the world’s iconic bucket-list spots!